Note Worthy Articles & Press. 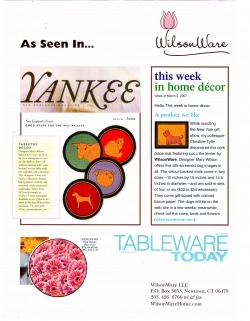 I got the fantastic opportunity to work one on one with Mary Wilson of WilsonWare Home products. 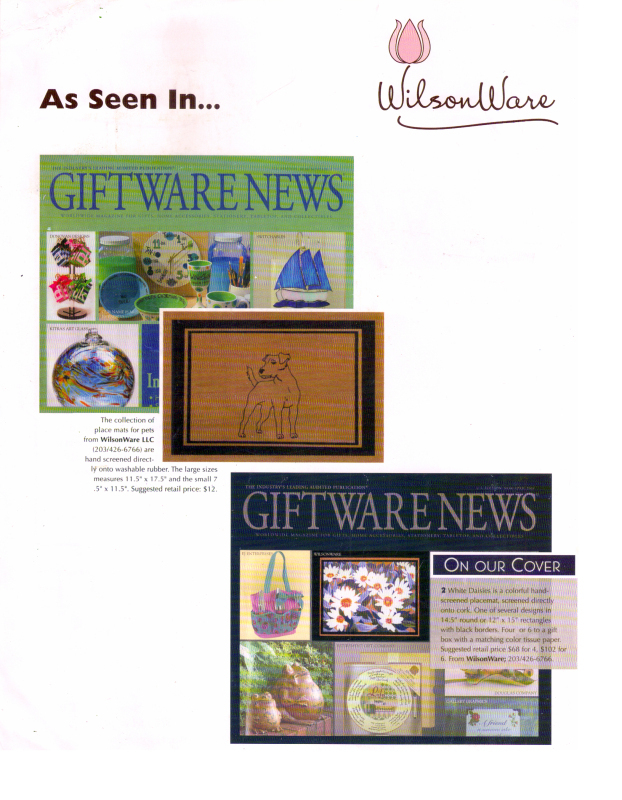 I helped Mary develop her ideas for whimiscal animal designs on place mats for people and pets. It was a truly fantastic experience working with her, I learned a lot and got to experience working a booth with her at the Jacob Javits center in NYC, as well as the Boston Gift Show. Mary's products were featured in these gift ware magazines as well as the renowed Yankee magazine. If you click on the picture to the left it will take you to Mary's site WilsonWareHome.com. This was another wonderful opportunity I got to work with some very special people. David Wolfe is the leader on the vast benefits of living a Raw Food lifestyle. 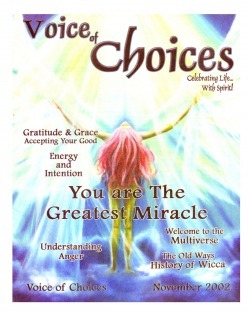 His knowledge, light, joy and gorgeous health knowledge and wisdom have inspired and helped thousands of people heal and revitalize their life. I was commissioned by Nick Ortner and Kevin Gianni to help illustrate this 52 card inspirational deck that went along with the 6 cd set and workbook put together by David Wolfe. Click on the picture to the left to connect to the program. Click on the links here to find out more about David and the wonderful things he is doing for the planet and her people.